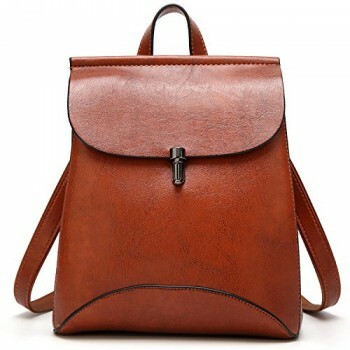 Material: High quality synthetic leather with exquisite hardware, waterproof. LARGE CAPACITY: Interior: 1 main compartment,1 zipper pockets and 2 open pockets. Exterior: 1 front zipper pocket, 1 back private zipper pocket. 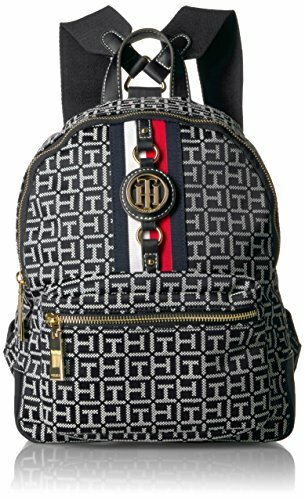 DIMENSIONS: 11.42″L x 5.9″W x 13″H. Weight: 1.38 pounds. Adjustable back straps length: 35.43″. ELOMBR focuses on high quality products, professionalism, and importantly satisfaction. 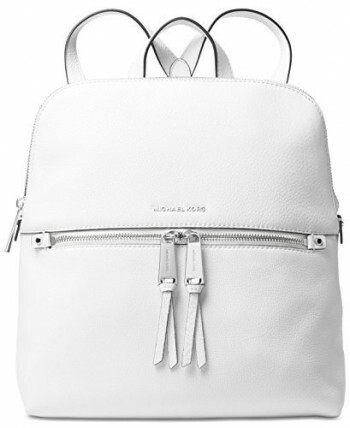 – Item Type: 100% ELOMBR Brand New Fashion Backpack. 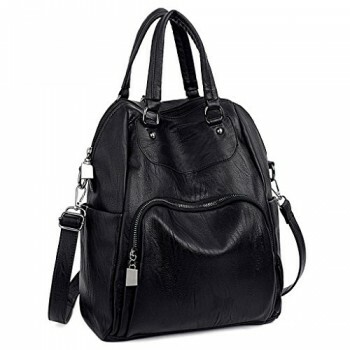 – Material: High quality synthetic leather with exquisite hardware, waterproof. – Dimensions: 11.42″L x 5.9″W x 13″H. Weight: 1.38 pounds. Adjustable back straps length: 35.43″. – Pockets: Interior: 1 main compartment,1 zipper pockets and 2 open pockets. Exterior: 1 front zipper pocket, 1 back private zipper pocket. – FEATURES:It can hold your iPad/Smartphone/Water Bottle/clothes/books/pens/wallet/umbrella and other essential items. Suitable for you to carry it in daily-use, such as shopping. dating, working, traveling and so on. Show elegant lady charm. – If customer receive broken, damaged or wrong item, customer only need to send a picture to us will be ok, and then we will refund or resend in 24 hours,and customer need not to return it to us. – If customer dislike the item, we can offer return, or give several suggestions that we think is better or more convenience. – If for other reasons, we encourage our customer contact us, we will response in one business day and do our best to service you. MULTI-FUCTIONAL: It can hold your iPad/Smartphone/Water Bottle/clothes/books/pens/wallet/umbrella and other essential items. Suitable for you to carry it in daily-use, such as shopping. dating, working, traveling and so on. 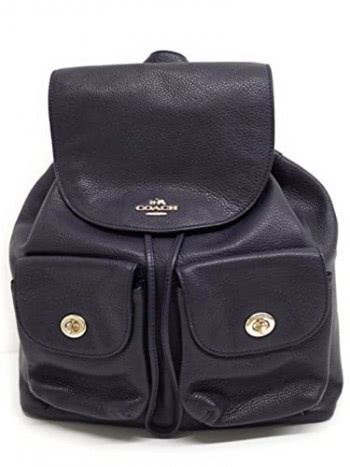 FEATURES: Adjustable Shoulder Strap, Decorative Gold-tone Hardware, Zip-pockets in Middle.You can use it as a Casual Backpack,Stylish Handbag or a Special Shoulder Bag with no need to remove the strap.